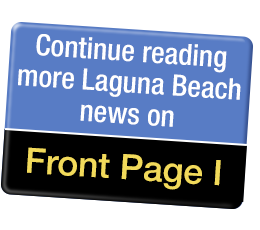 The Laguna Board of REALTORS® and the Chamber of Commerce hosted the first candidates’ forum of the 2018 election on Thursday before an involved audience in the City Council Chambers. Candidates Peter Blake, Sue Marie Connolly, Ann Christoph, Toni Iseman, Sue Kempf, Cheryl Kinsman, Lorene Laguna, Judie Mancuso, Allison Mathews, Paul Merritt, and Rob Zur Schmiede were given two minutes for opening statements before Realtor Frank Hufnagel posed the first of five questions of consequence to the community. Elizabeth Bates announced last week that she is no longer a candidate although her name remains on the ballot, because she missed the cut-off date to have it removed. What would candidates do about parking in Laguna Beach? Incumbent Zur Schmiede, nonprofit CEO Mancuso, and political volunteer Mathews recommended adding parking to ACT V.
Businessman Merritt opposed meters at 1000 Steps Beach, concerned they would drive tourist parking into the neighborhoods, a problem incumbent Toni Iseman said could be dealt with by limiting parking in the off-highway streets to three hours and ticketing offenders. Art Gallery owner Blake said he would dump the Village Entrance Park in favor of parking. Connolly agreed with Blake. Landscape architect and former mayor Christoph said voters should decide about parking at the Village Entrance, which has been discussed for about 20 years, and she disagreed with Merritt about the loss of parking spaces, something the Coastal Commission would not fancy. Kempf recommended more peripheral parking and increasing parking rates downtown until people won’t pay the price. Businesswoman Lorene Laguna and former mayor Cheryl Kinsman favored improved technology, such as credit card meters. How and why will candidates vote on the one-cent sales tax increase to fund undergrounding? This is a major issue to be decided by a vote of the people in November. The audience included Village Laguna Elder Arnold Hano, who supports the increase and monitoring new technology, and increase opponent Jennifer Zeiter, founder of Stop Taxing Our Property (S.T.O.P). Seven of the 11 candidates agreed with Zeiter. Kempf, Connolly and both incumbents support the increase, although Iseman indicated she fears the increase will not pass. Do candidates support the proposed updated historic preservation ordinance and believe that inclusion on the Historical Register should be voluntary for property owners? Planning Commission hearings on the proposed ordinance have been rancorous on more than one occasion. However, as Christoph pointed out, inclusion on the Historic Register has always been voluntary. The question should have been about voluntary inclusion on the inventory, she said. However, all of the candidates except Christoph and Iseman favored voluntary inclusion on the Register. Blake was applauded when he said that a structure older than 50 years does not make it historical. A special one-issue council meeting on the proposed revised ordinance will be held on Sept 18. What do candidates think about Laguna’s reputation as the most difficult municipality in which to build and what can be done to improve the Design Review process? Blake said the process is rigged to block construction. Property rights have been eroded, and he would like them restored, he said. People ought to be able to remodel their homes, according to Connolly. Christoph supports the Design Review process as protection for applicants and neighbors. She does believe that preparing for a hearing is onerous, difficult and time consuming. Merritt agreed it takes too long to get a project built. And it’s too expensive, added Mathews. Kempf said the expenses before getting to a hearing are one of the biggest complaints. Lorene Laguna was hearing the same thing. One of her neighbors spent $80,000 before a spade touched the ground or a nail was hammered. The process needs to be simplified, said Kinsman. Mancuso said the process is dysfunctional. She supports term limits for members of city boards and commissions. Blame the city, not the board, said Iseman. She believes there is too much development going on in the city. How would candidates handle the homeless of Laguna Beach? Lorene Laguna recommended enacting a panhandling ordinance. Kinsman and Blake said put more boots on the ground. However, Blake is not optimistic about stopping the problem, which he said is ruining downtown. Zur Schmiede and Mancuso want surrounding cities to step up to the plate. Zur Schmiede said Laguna will benefit from legislation that requires surrounding cities to provide shelter beds. There is money available at the state, county and federal level for homeless projects, according to Mancuso. Kempf recommended creating a housing trust to build permanent supportive housing on county land. Merritt however, opposes seeking grants. He said they are trapdoors leading to condos and apartments for meth and heroin addicts. Mathews, who volunteered to work with the homeless before moving to Laguna three years ago, agreed addiction is a problem, but the veterans with PTSD must be helped. “We owe them,” she said. Iseman suggested finding shelters in other cities. Connolly said the city should send the homeless to Costa Mesa. Christoph prefers working with the county to find housing. Mathews: She wants transparency, vibrancy and livability in town. She doesn’t like the fact that the city’s firefighters and police officers cannot afford to live in Laguna. Merritt: He agrees with Mathews. “It is impossible for people who work in town to live here,” he said. He supports undergrounding, but wants to find another way to fund it. Lorene Laguna: She supports town hall forums, so residents can talk and interface with elected officials. She also opined that the community must guard against spending on consultants without review.